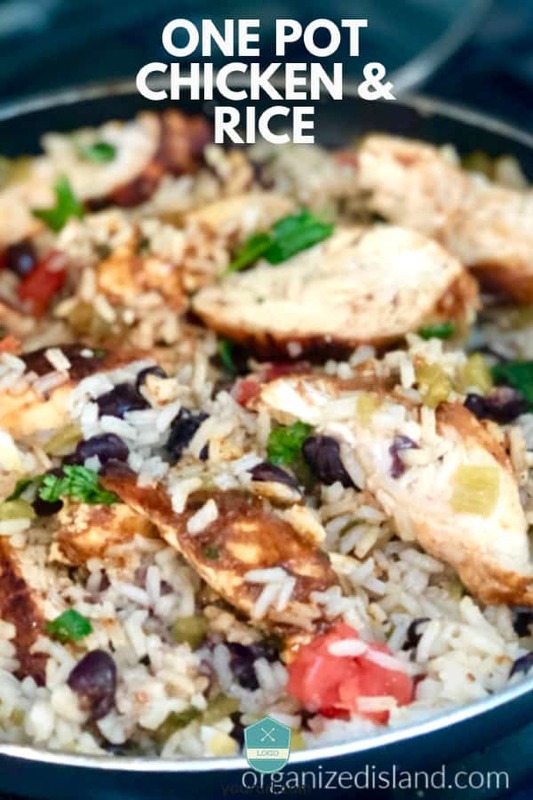 This one pot Chicken and Rice is a very easy chicken recipe and is perfect for dinner any night of the week. With just a few ingredients and about 30 minutes, you can have the most delicious chicken dinner ready to serve. This tasty chicken recipe is one you will want to keep in your recipe file for a meal the whole family will love! Hello Friends! I hope this week finds you enjoying the season and finding time to relax and reflect. We tend to fill our schedule more than we should and so many people feel like they do not have enough time for things. That was one of the reasons I started this blog and today, I am sharing an easy chicken recipe for those days when you just want a quick dinner on the table so that you can enjoy the evening. 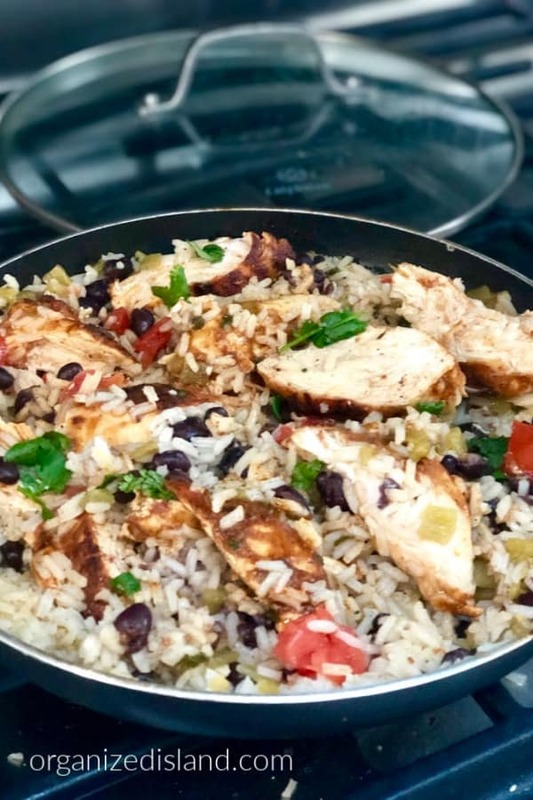 This easy One pot taco Chicken and rice is one of the easiest chicken skillet recipes to make and is perfect when you need a quick dinner recipe. All you need is to grill some chicken breasts or chicken thighs work too! I love that this easy chicken and rice dinner is made in just one pan! I make the chicken and the rice all using the same pan. 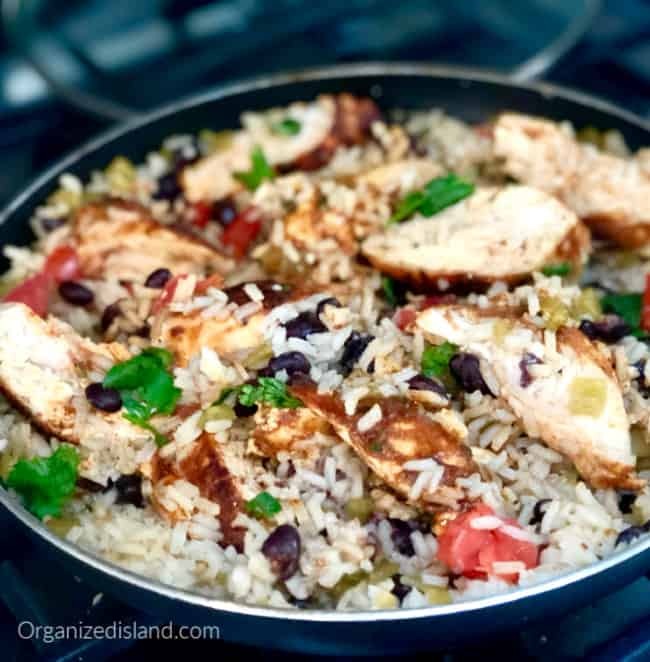 It’s a delicious skillet chicken and rice supper or lunch idea. Taco Pasta with Ground Beef -This One Pot Taco Pasta with Ground Beef comes together quickly in a single skillet! Place taco seasoning in a plastic storage or brown paper bag. Wash chicken breasts and place in plastic bag one at a time to coat. 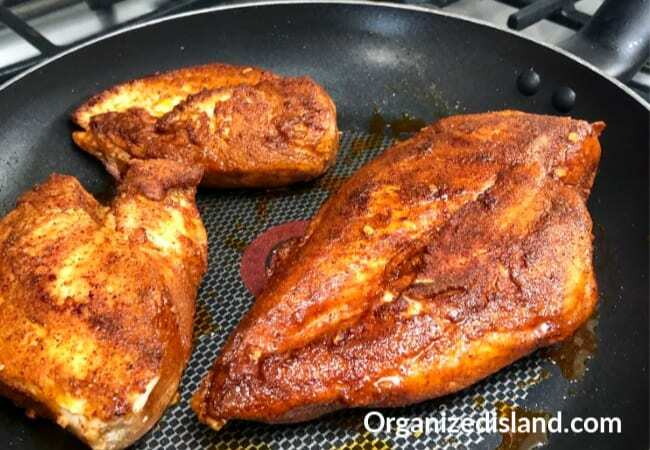 Brown coated chicken on both sides - about 5-7 minutes. In the same skillet add onion, garlic, cilantro, broth, soup, black beans, chilies and juice from 1/2 lime. Heat over medium-high heat until boiling. Once rice mixture starts boiling, reduce heat to medium-low. Simmer 15 minutes without lifting the lid. While mixture is simmering, slice chicken into smaller pieces. After 15 minutes, lift up the lid, add chicken pieces back to skillet and cook an additional 12-15 minutes until chicken reaches 165 ° and juice of chicken is clear and rice is cooked. This is a great weeknight recipe and is pretty quick. If you want to save time, you can prepare the garlic and onion and cilantro the evening before and have them all in small sealed bag or container ready to go. You can use rotisserie chicken for this as well. Take cooked rotisserie chicken and slice it. Toss with taco seasoning and add to rice mixture in step # 10. This taco chicken and rice recipe is made with black beans which make it colorful and fresh. Skillet dinners are great because you only dirty one pan while making the meal. I recommend serving this with salsa and avocado slices as it is delicious! You can also use 4 smaller chicken breasts or even breast tenders. I say go with whatever is on sale at your grocery store. What is your favorite skillet meal? mmm..I love a good one pot dish. The rice, though! And taco anything! LOVE it. It would be perfect for tomorrow’s Taco Tuesday. Yes! It would be perfect for Taco Tuesday!